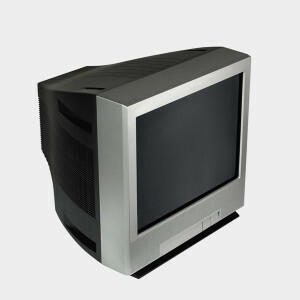 Many older TVs contain hazardous waste, such as lead and cadmium, that could leach into the environment. These chemicals are dangerous, so don’t throw TVs in the trash. Best Buy will take back CRV TVs for a $25 fee; up to two TVs are accepted from each household per day. If your CRT TV is larger than 32 inches, you cannot drop it off, but they will pick it up free of charge if you have a new product delivered. Find a location here.